3 bedrooms, 3 en-suite bathrooms, sleeps 6 with huge deck for magnificent views. A luxury thatched villa on an enclosed, secure, golf & wildlife estate with fantastic facilities, 10 mins from the world renowned Kruger National Park. A magnificent base for a most wonderful Safari experience. Commanding the highest point on the whole estate, Phabeni offers premium views! We overlook the 5th tee of a superb 9-hole (18 tee)Gary Player designed golf course complete with grazing impala, troops of monkeys, hippo pool and hide with growing resident family of hippo and crocodile. Imagine warm relaxing evenings & golden sunsets from your 40 square meter teak deck. The house has a fully fitted granite kitchen with all modern appliances, sitting & dining room and the sumptuous bedrooms each have an en-suite with fitted granite tops, power shower & bath. The master bedroom leads through French doors onto a private balcony. A thatched private carport affords space for 2 cars and the massive decking incorporates a large in-built barbecue with work-surface & seating for 8 people. Kruger National Park: The Kruger National Park, 10 minutes drive from Kruger Park Lodge, is a true haven of the wild and one of the great natural sanctuaries of the world. The 'Big 5'(Elephant, Lion, Leopard, Rhino and Buffalo) are present in abundance as well as cheetah, monkeys, giraffe and hippo alongside many other species of mammal, bird and reptile. The thrill of a sighting - perhaps a lioness with cubs, a shy bush-buck hiding among riverside bush or a leopard stalking in the warm late evening while vultures glide overhead - is the most memorable of experiences. Take an early morning or evening game drive with an experienced and knowledgeable guide in an open-topped landrover at one of the magnificent neighbouring private game reserves. Alternatively, explore the wildlife paradise at your own pace in your own vehicle through Kruger National Park and its 2000km of path, keeping your eyes open for action - incredibly exciting! All three bathrooms are en-suite to their respective bedrooms. Excellent daily Maid service and barbecue cleaning inclusive at a small fee payable at reception. Laundry washed, dried and pressed for a very small fee. The house stands in a beautiful position with views over the 5th fairway, lake and the Sabie Valley beyond. It is a very short stroll down to the hippo hide and the Sabie River. However, we are far enough away from water so as not to be affected by insect life when barbequeing in the evening. Great house and location. Very responsive owner. Clean and well equipped. Lots to do on the beautiful, secure compound but very close to Kruger as well. I would definitely stay there again; highly recommend. So glad that you enjoyed your visit as much as we do every time we return. Thank you for the review, lots of people tell me they enjoyed their stay but only a few put “pen to paper”. Thanks for letting us know that you enjoyed your stay. We look forward to having you stay again soon. We are pleased that you enjoyed your stay, Lorraine. You can see plenty of Impala when you go into Kruger National Park but there is something special about seeing them near our house. On our last visit we even got photos of `Impala on our front lawn! Our fourth visit to Phabeni and we enjoyed it as much as ever. Perfectly situated for the Kruger, the lodge itself is in a delightful position with views onto the golf course on a secure estate whose amenties have improved over the years. The golf course is a gem, designed by Gary Player and each hole is individual and well thought out. Restaurant and bar area much better now and you feel the estate is "on an up". We spent 3 nights in Phabeni during our visit to SA and the house was great. Set in a lovely peaceful location but close to all ammenities including the wonderful Kruger National Park, it was a great find. You can hear the hippos calling in the evening as you sit on the terrace. The house is clean and has all the necessary requirements to ensure a home from home. Plenty of restaurants in the local area to suit all budgets and dietary requirements and for me, the proximity to the park was the icing on the cake. I would definitely recommend Phabeni to anyone who wants to be close enough to all the restaurants and shops aswell as nature, this place covers all! We will definitely be considering a return trip as we didnt get a chance to check out the beautiful scenary (animals came first!). I am writing this review to let anyone considering this property know that it exceeded our expectations, It was large clean and well maintained as indicated but when you add in the Monkeys on the deck, Impala on the lawns and a golf course in your back yard it makes it great. The location is ideal for visiting the park and even though we stayed for 14 days we never had time to do everything. During our travels in the area we never saw any other development anywhere near the quality of KPL. Lastly the pre-trip info package from Fiona was a great help. 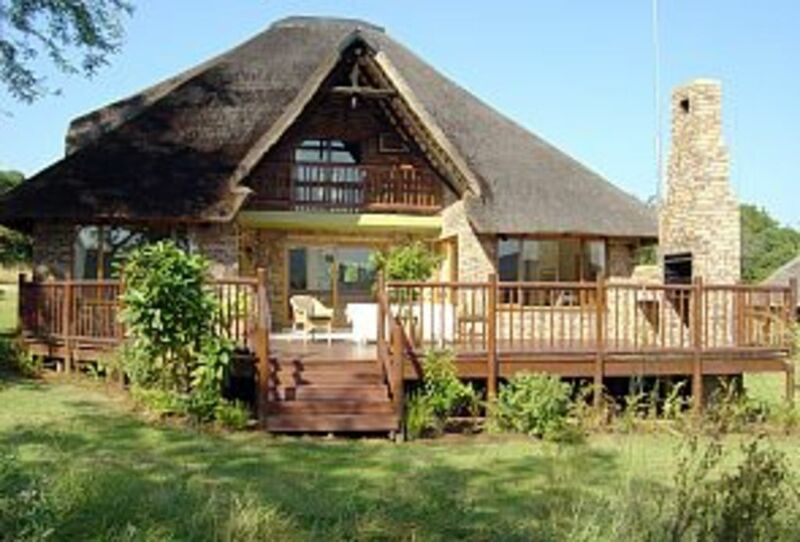 Kruger Park Lodge is 12Km from Kruger National Park and 45Km from Kruger Mpumulanga International Airport (MQP). All the major car hire companies have offices at Johannesberg International Airport (a beautiful and scenic four to five hour drive on excellent roads) and Mpumalanga International Airport. (a forty minute drive). We are located within an hours drive of all the 'must see's' and 'must do's' in the vicinity of the Kruger National Park (God's Window Escarpment, Blyde River Canyon, Pilgrim's Rest, Kapama Cheetah Sanctuary and much, much more!) There are a number of excellent golf courses in this area. In short Phabeni is ideally located for safari, golf , sporting activities and all sightseeing attractions. Other Activities: game drives, safari, golf, hot air ballooning,sight-seeing, river rafting - everything you could imagine. Golf: The house is ideally situated on the 5th and the 14th tee which makes it an ideal 'watering hole' whether you are playing 9 or 18 holes under the African sun - just park up your golf buggy next to the deck. All the holes are very challenging -just check out 'Vultures Drop' taking care to watch out for crocs and hippos! We are ideal for golf breaks as there are some excellent golf courses within driving range, the nearest being the top class Sabi River Sun only 5 minutes away. Kruger Park Lodge has recently upgraded its Driving Range which is two minutes walk from the house. There is a well-stocked Pro-shop on-site and clubs, buggies and caddies can be hired from here. We give a discount of one of your nights free on bookings of 14 days or more and will automatically give this on booking. We are very happy to accommodate long-term rentals and will offer fair discount for this. We offer the best value in all respects for one of the most prestigious properties at Kruger Park lodge.